In an interview, Mexican journalist and author Eileen Truax offers her insights on the immigration bill that the U.S. Senate recently passed, and she explains why “the DREAMers” offer an example of the contributions of immigrants to the United States. This post is part of our series on Latin America: Migrant Journeys in collaboration with Global Voices. Stay tuned for more articles and podcasts. 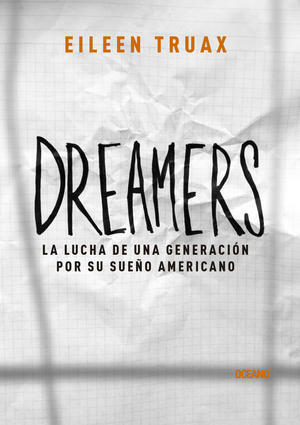 This is the first part of an interview with Eileen Truax, Mexican journalist and author of Huffington Post Voces who recently released her book Dreamers: The Fight of a Generation for its American Dream. Migrant Journeys talked to Truax, who offered her insights on the immigration bill that the U.S. Senate recently passed, and explained why “the DREAMers”—more than 65,000 youth brought to the United States as children by their migrant parents and who remain classified as “undocumented”—offer an example of the contributions of immigrants to the United States. Robert Valencia: Tells us more about your book Dreamers. What made you write this book? 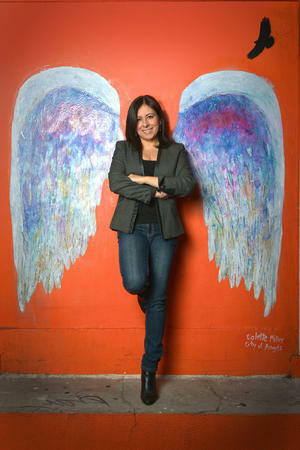 Eileen Truax: Because I’m an immigrant myself, I was born in Mexico City and have lived nine years in Los Angeles, where I worked for La Opinión, America’s most influential newspaper in Spanish. During my time at this newspaper I covered immigration issues, and I found compelling and moving stories, some of them related to successes, or very dramatic. In this process I learned of this pattern, especially the presence of children of immigrants, or the so-called DREAMers. In reality it wasn’t the focus of attention for those covering the news, but the DREAMers were always there. I considered that it was necessary to take a second glimpse of particular stories from these youth who have features that set them apart from the rest of the immigrants. I believe this is how we’ll pave the way for a more humane immigration system. They’re Americans, save for a document. RV: Many times we hear the anti-immigrant rhetoric on the media. Why do you think this is? ET: For too long, I thought it was a lack of sensitivity, but in recent years I have found that it’s the lack of an approach to this problem. We tend to talk about immigration as a whole, like a generic thing that suddenly becomes abstract: 11 million people. But what’s the singularity about this? What’s the human aspect of this? We can’t give a soul to an abstract entity. For this reason, we must tell the stories of at least one immigrant. Let’s forget about the 11 million figure, let’s talk about the person who arrived in the U.S. with no documents and no knowledge of English. How does he or she manage to survive the first day if that person doesn’t know anybody, doesn’t have a place to sleep nor has a work permit? If it’s a family, how do their kids who don’t speak English manage to go to school? This way we can see a chain of stories and the challenges these people face, as well as the efforts to conquer the “little Everests” they face every day. When a person can understand the immigrant drama, sensitivity flourishes. Lest we forget we are talking about human beings who, in the end, are the beneficiaries of an immigration reform. RV: Janet Napolitano stepped down as Secretary of Homeland Security. During her tenure we saw important measures for the DREAMers such as deferred action, a two-year program that allows them to be eligible for work authorization . How does her resignation affect the pro-immigrant movement? ET: We must consider two things. The first is that the level of impact will depend on who replaces Napolitano, and what continuity will be given to the Administration’s policies or whether we’ll see a change of direction. It will also depend on the vision the team will have. My second observation is that, though Napolitano was very vocal in several themes, we witnessed the largest number of deportations in America’s recent history, that is, 400,000 deportations per year is no small number. We’re talking about hits or misses in this administration. President Barack Obama has sided with the DREAMer movement and with the immigrant movement in general, but he’s the chief of this administration that has conducted these massive deportations. We have to wait and see who will take over and whether we’ll see a change of direction in current policies. RV: Ann Coulter, a prominent figure of the U.S. conservative movement, said that by legalizing 11 million people the future of the Republican Party will be jeopardized, implying that the beneficiaries will vote in favor of Democrats as a sign of gratitude for passing the bill. Do you think it’s prudent to pigeonhole a Latino community who clearly is not monolithic in their political preferences? What do you think about this? ET: It’s perverse to talk about an immigration reform while fixing attention to the political parties. What we need to understand is the need of a fair immigration reform seen from the human rights and criminal justice perspective, not just as partisan booty or capital gain for a particular party. If we don’t change our perspective we can’t do justice. The theme of immigration must be based on respect toward human rights. If we use these 11 million people as political prize we’re not doing the right thing as a country or as society, and lawmakers are not being compliant with their duties. Immigration reform must seek to give political certainty to 11 million people who are already here and who contribute to our society, and we as a society must protect those who live in it. Comments like this steer away the reform’s objective. Besides, this concern is premature and opportunistic because it will take 13 years for a person, once the bill is approved, to become a citizen. RV: We have seen opposition of this bill in the House of Representatives at the helm of Rep. John Boehner (R-OH). Can we talk about optimism given the possibility that the reform will die down on the House floor? ET: At this very moment we can’t have any certitude, not even the very same congressmen know exactly what the perspectives are with respect to the advancement of the bill in the next couple of months. I believe it will be after the August recess that some positions toward this bill will be defined when legislators go back to their respective localities. I hope these communities remind legislators the reason they’ve been put in Capitol Hill and that we have the right to tell them the position they must adopt regarding this matter. I would not talk about optimism because the perspective is vague. What I do believe, however, is that we’re at a juncture where everybody has to do something. Despite the things we don’t like about this reform and its peculiarities, the fact that we have an immigration reform bill is an opportunity nobody should miss. It’s the duty of activists and organizations to close ranks and become one front, while it’s the duty of journalists to seek different angles of the story, reminding congressmen and society that this goes beyond the militarization at the border. Let’s not forget who in reality will benefit and the characteristics of each group: There are sections of the bill that talk about farmers, another one talks about the DREAMers, etc., and we perhaps may forget to tell these stories. There are many particular things in the 1000-page-long bill, so we can’t focus the immigration debate just on border security. Read the second half of the interview here. Robert Valencia is a contributing writer for Global Voices Online. He was a former Research Fellow at the Council of Hemispheric Affairs and is a contributing writer for the World Policy Institute. His research on U.S-Latin American relations, conflict resolution, human rights, and government accountability have been cited by Al Jazeera English, The Atlantic, Yale Journal of International Affairs, The Coalition for the International Criminal Court, the Henry Jackson Society, and the Center for American Progress. His writing has been also used for academic purposes.